Iran has again balked at joining an international convention against terrorism finance, an action widely seen as necessary for the Islamic Republic to escape the effect of US sanctions. Ahmad Tavakoli, an Expediency Council member, told reporters on Saturday that the Council meeting — on the bill for accession to the UN Convention on Transnational Crime — was inconclusive. He said the Council, which arbitrates between Parliament and the Guardian Council, will meet again next Saturday. President Hassan Rouhani’s deputy for Legal affairs, Laya Joneydi, had said on Friday that the Council should accelerate the review. 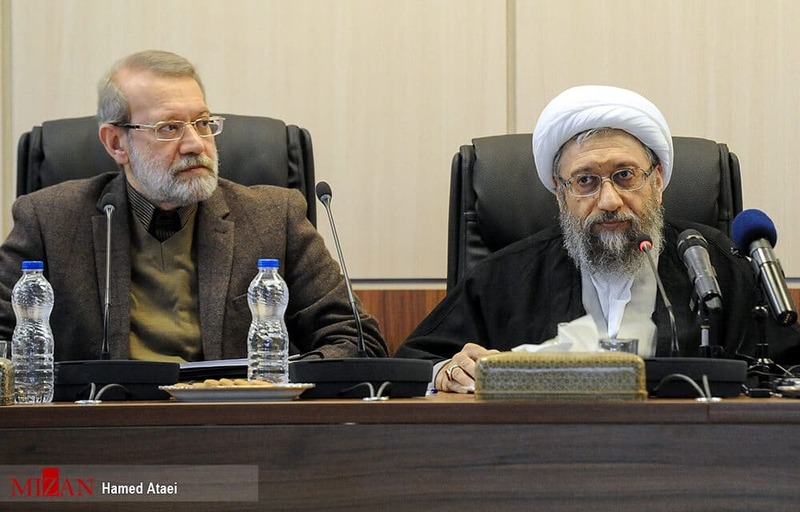 The Council met with Parliament Speaker Ali Larijani and Foreign Minister Mohammad Javad Zarif, but Iranian media said no details of the legislation were discussed. Parliament has passed the legislation to join the Financial Action Task Force but the Guardian Council, with six members appointed by the Supreme Leader and six appointed by the judiciary, has balked at approval. The international community is seeking Iran’s compliance with the Convention, against money laundering, terrorism finance, and transnational crime. But Iranian hardliners believe the terms will restrict the Islamic Republic’s links with groups like Lebanon’s Hezbollah and Palestine’s Islamic Jihad. The European Union, which has been at the forefront of the Rouhani Government’s strategy to counter US sanctions, has indicated that Iran’s participation in the Convention is essential. But Iranian efforts for economic links with Europe have stalled over implementation of a Special Purpose Vehicle, bypassing the American restrictions, for non-dollar trade in oil and other commodities and goods. Iranian officials signalled two weeks ago that they had given up last week on the Europeans, looking to China, India, and Russia for essential links. However, last week they resurrected hopes that the SPV could be put in place. President Rouhani’s representative Laya Joneydi said on Friday that accession to the Convention will “pave the way” for the SPV. The FATF has given Iran until late-February to endorse the Convention or to be added to a list of countries refusing to cooperate in the fight against money laundering and financing terrorism.